“The ones that we are finding, that are most economically interesting, are the neodymium and the praseodymium…Also, dysprosium and also terbium…They are basic magnet making materials. They go into the high-intensity magnets used for the electrification of our society. We see huge increases in demand for these materials as electrification takes place.” States Dr. David Dreisinger, Director & Vice President of Metallurgy for Search Minerals Inc. (TSXV: SMY), in an interview with InvestorIntel’s Peter Clausi. Peter Clausi: Your reputation is as an expert in metallurgy and mainly in the rare earths, right? David Dreisinger: Yeah, generally, but also rare earths in this particular case. That is correct. Peter Clausi: Which is suitable since Search Minerals is searching for rare earths. Where are you projects located? David Dreisinger: We are in Labrador in the Province of Newfoundland right on the coast. We have got 70 kilometer by 8 kilometer belt called the Port Hope Simpson District, which is mineralized through the whole extent of the district. We have got currently two resources and about 20 more prospects to track down in that space. Peter Clausi: Which of the rare earths are you looking for? David Dreisinger: They all come together typically, but the ones that we are finding that are most economically interesting are the neodymium and the praseodymium. Peter Clausi: Number 59 and 60. David Dreisinger: Number 59 and 60. Peter Clausi: I cannot say that word so I just call them 59 and 60. David Dreisinger: Or NdPr or PrNd however you might want to say it. Also, dysprosium and also terbium. Peter Clausi: Why are those important to our modern economy? David Dreisinger: They are basic magnet making materials. They go into the high-intensity magnets used for the electrification of our society. We see huge increases in demand for these materials as electrification takes place. Peter Clausi: If I remember correctly, the average combustion engine vehicle uses a half kilogram of those rare earths, but the average electric vehicle needs over a kilogram. David Dreisinger: That is correct and of the higher value ones. Peter Clausi: If I remember correctly, the world prediction for electric vehicles this year is 4 million units? 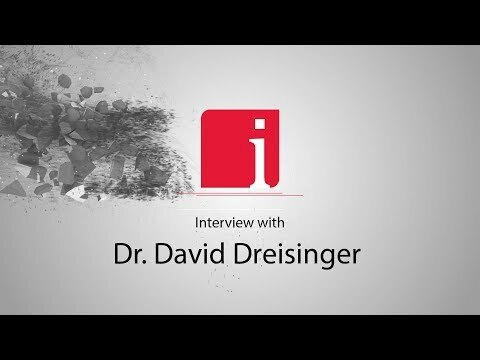 David Dreisinger: I do not have that exact number in mind, but yes it is increasing exponentially as we go. 10 years ago none of us would have thought about buying an electric vehicle. Now most of us are contemplating it. Peter Clausi: Right. So you need to feed that supply for the magnets. Peter Clausi: What has happened lately in the company? David Dreisinger: A couple of things. We have been drilling in Newfoundland, Labrador. We have just drilled the Deep Fox resource, which is our second deposit. We have gone down to 200 meters. Like we did for Foxtrot, our original resource, we found that our mineralization extends down to 200 meters. It is the same at depth as it is on surface. It is higher grades than Foxtrot so it is a more attractive resource from that point of view. Peter Clausi: What is it hosted in?